Engaging teachers of young children in effective in-service professional development is a critical component of establishing high quality early childhood education. However, not all professional development offerings are effective in imparting new knowledge, enhancing teacher practice, or improving child outcomes, making it difficult for teachers and directors to select professional development that will benefit their centers. 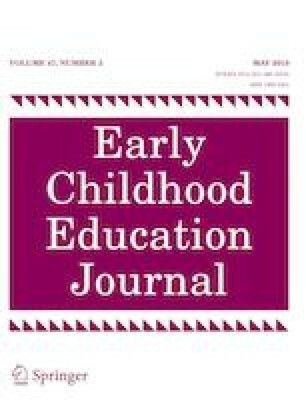 This paper critically reviews the research literature on professional development for early childhood education to identify what features of professional development make a difference for teacher interactions and children’s learning and development. Guidance is provided for selecting professional development opportunities which meet the needs of children and teachers. Recommendations for how to create an ongoing professional development program within an early childhood center by creating a professional learning community are also made. Such an approach supports the center to become a place that values learning and continued education for all professionals. Archibald, S., Coggshall, J. G., Croft, A., & Goe, L. (2011). High quality professional development for all teachers: Effectively allocating resources. National Comprehensive Center for teacher Quality. Retrieved from http://www.tqsource.org/publication/highqualityprofessionaldevelopment.pdf. European Early Childhood Education Research Association. (2018). EECERA 28th annual conference. Retrieved from: http://www.eecera2018.org/conference-tickets. Great Plains IDEA. (2018). Early care & education for a mobile society. Retrieved from: https://www.gpidea.org/program/early-care-and-education-in-a-mobile-society. Maryland State Board of Education. (2012). Subtitle 16 Child Care Centers. Retrieved from http://marylandpublicschools.org/NR/rdonlyres/FF4D42D2-46A0-44E6-9CEC-546C5641F978/31469/Sub16CTRamend012312.pdf. National Association for the Education of Young Children. (2018). 2018 Annual conference registration information. Retrieved from: https://www.naeyc.org/events/annual/2018/register. US Department of Health and Human Services. (2018). Foundation for staff development. Retrieved October 26, 2018 https://eclkc.ohs.acf.hhs.gov/professional-development/article/foundation-staff-development. Washington State Department of Early Learning. (2011). Chapter 170-295 WAC: Minimum licensing requirements for child care centers. Retrieved from http://apps.leg.wa.gov/WAC/default.aspx?cite=170-295&full=true#170-295-1060. Yoon, K.S., Duncan, T., Lee, S. W.-Y., Scarloss, B., & Shapley, K. (2007). Reviewing the evidence on how teacher professional development affects student achievement (Issues & Answers Report, REL 2007–No. 033). Washington, DC: U.S. Department of Education, Institute of Education Sciences, National Center for Education Evaluation and Regional Assistance, Regional Educational Laboratory Southwest. Retrieved from http://ies.ed.gov/ncee/edlabs.